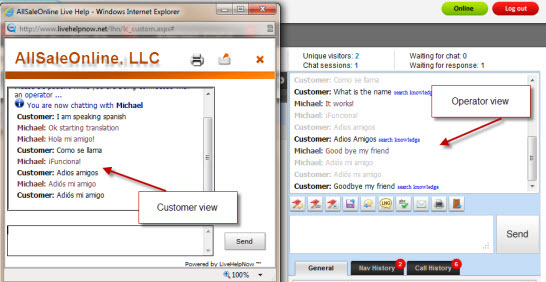 How do I chat with my international customers using real time language translation? We've harnessed the power of Google Translate in order to provide you with real-time language translation in a chat session. 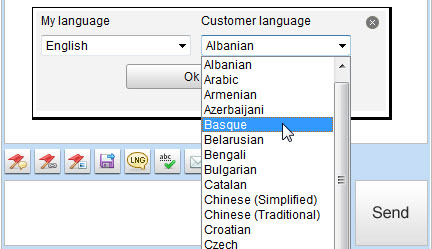 If your customer's first language is something other than English, they can now type in the language they're most comfortable with and their text will be translated, on the fly, into English (or any other language your agent chooses). Your agent's reply will instantly be translated back, eliminating the language barrier that in the past would have prevented the sale or made product support impossible.